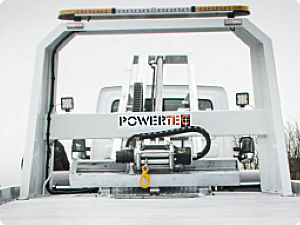 The latest ground breaking recovery vehicle innovation from Powertec is the 'So-Low' low approach slide bed system. 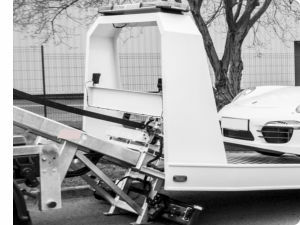 The 'So-Low' deploys a completely new and patented concept which allows an incredible low loading angle to be achieved in a simple cost-effective design. 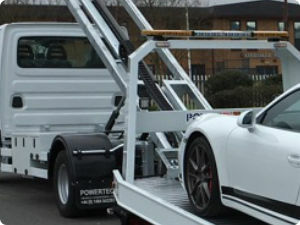 The complete low approach slide bed system has been designed and tested using the very latest 3D CAD, allowing the optimisation of weight and strength by carrying out a full structural analysis during the development process. After this the system went through rigorous testing with actual loads to verify the products suitability for the market place. Ladyroyd Garage of Bradford have just taken delivery of a 'So-Low' fitted to an Iveco 72C17 chassis, the owners comments speak for themselves "It's unbelievably simple to use with the specially designed safety features and can carry a 3000kg payload it's just what the market needed"
The new design is available in 4000kg, 6000kg 8000kg and 10,000kg capacities.